John Yi is a tech entrepreneur, a military veteran, a friend and mentor, so I had to have him on Making Ways to share some of his keen insights with the masses. John was instrumental to my realization that going independent and starting my own marketing business after I left Google (and prior career jobs at Simon & Schuster, Sony Music, and Nickelodeon) was indeed the right path for me. John brings a calm wisdom and quiet curiosity to each of our conversations, but it wasn’t until our interview that I understood that so much of that wisdom comes from experience. Not only did John spend seven years in the startup grind as a cofounder; he was also early to join Facebook and Pinterest and now works as a product and growth leader in the emerging cryptocurrency space at bitcoin leader Coinbase. And none of this even touches on John’s time in the elite US Army Special Operations Ranger unit, his training at West Point, or Code and Canvas, the workspace he and a few other tech mainstays opened to build bridges between the tech and artist communities in San Francisco. I encourage you to listen to the full interview. You’ll get to know John’s journey and learn from the roads he’s traveled. In the interest of sharing some bite-size wisdom from our chat, below is an abbreviated Q&A from our complete interview. Rob: How would you define leadership or what makes for a great leader at an organization? John: I’ve thought about this a lot. At the root of it, leading [literally] means, say, leading someone down a road or a trail. What would make a person a good leader [in this situation] would probably be someone who had been on that trail before, right? So you can trust that person [with direct experience] to not get you lost, [and you can also likely trust] someone who has been on a lot of trails before and knows how to navigate them generally. So I think fundamentally that’s what people are looking for in a leader. What did your time in the military teach you about teamwork and how does that impact the way you work in business settings today? Growing up, I had mostly been a do-it-myself, try-to-excel, try-to-be-first kind of person. But I think we fool ourselves whenever we think we are independent. As human animals, we are so interdependent on our family, our friends, our systems, our society, and our natural resources — which I didn’t truly understand until I went to West Point, where it was all or none. As a cadet private, by design, you’re nothing. You’re wiped clean as a human slate. Shaved head, all personal effects taken away. In a sense your identity is almost taken away or at least put on a shelf for a while to teach you that it’s not about your success. It’s about your group’s success, because that’s the only way that you are going to succeed — certainly in war but also in many other organizational circumstances. During our interview you mentioned this idea of “what right looks like,” a phrase that you commonly used while in the military. What does that term mean exactly? And what does it mean to still be chasing that ideal? While certainly no unit is perfect, almost to the tee, every Ranger is there for the right reasons and has been through at least four if not more pretty rigorous filters in order to volunteer and qualify [for the unit]. Because of that, and because the unit is well resourced, and because it has a history that people respect, and it’s led well, all these things come together so that you can do your job maybe 5x or 10x faster, better, and more correctly than you can anywhere else in the army — certainly than any other unit I had been in. I joke that when I would ask someone to do something, half of the team, if not more, would say, “I’ve already done it.” That’s the kind of unit the Rangers was. There are a few elements to this. It’s funny. Years later, I had the opportunity to work at Facebook back when it was still just a few hundred people. Every month, everyone who was new would meet Zuck and say a couple of things. One of them that I remember was what you learned in the last 30 days. And as I recall he appreciated my answer, which was that Facebook was quite like the Ranger regiment or a lot like special operations, insofar as it was a lot of smart, very motivated people with a shared vision that was very inspiring and who were well resourced. And that sort of trifecta of things just doesn’t exist enough in the world. I’ve been blessed to have the opportunity not once but three times now in my career to do that. So that’s what I’m chasing and, to some degree, have found. You were early at Facebook. How did you land your job there? 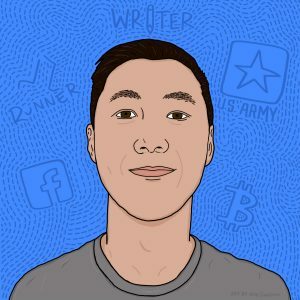 When I was running my second company, which centered around the idea of an open market for authors to record their stories and sell them to readers. Part of my challenge was to get writers and readers onto the site, so I used Facebook advertising to try to get users. I became fascinated with the system Facebook had, because it was very different than any other advertising system at the time. They were the only ones where you could target people by their personalities and things they are interested, which wasn’t [previously] possible — and [still isn’t for] most of the web. I met the woman who became my first boss at Facebook at a conference, and I sat down with her and gave her a long list of improvements that the ad system should make, [along with a recommendation for] an API where third parties could build software to do this much more efficiently. A couple of months later, she asked me if I would consider coming to Facebook to improve the ad system and create a program for third-party developers to build software so that other people could use Facebook for advertising. What advice would you give to young people navigating their first career moves? It really makes sense to think about it from first principles, which is, to sound a little morbid, what would you want your obituary to read or [how would] you want to be remembered? It’s not necessarily that you need to be remembered but perhaps what you would you want to remember yourself by. It’s a roundabout way of [figuring out] what’s important to you and, even if it’s not 100% [possible] today, how you can move generally in that direction over time. I mentioned that I’ve always wanted to write. And thankfully, I’ve always had in my back pocket this idea that no matter what I’m doing, at worst I am learning things that I can write about. So I almost have this excuse that no matter how good or bad the job is or how tough the day is, there’s some fodder for future writing that I can draw from. You mentioned a passion for writing several times in our chat and an interest in pursuing a career as a writer down the line. What is it about writing that compels you? I think writing is probably the channel through which I can effect the most change. I really enjoy all kinds of entertainment and informational channels, like movies for instance, but the ones that I enjoy the most sort of tweak me, make me a different person. That’s what I would like to do [for others], whether it be through fiction, creative nonfiction, or even business writing — all of which I am considering. What are some of the books that have changed you? Viktor Frankl’s Man’s Search for Meaning. It gave me a framework for explaining the world [and entirely changed my perspective] from “the world is happening to me” to “I can decide what the world means to me.” And that vein of thinking has been very powerful to me over the last three or four years, [helping me understand that the world is] as much about my place as a member of a system as it is anything else. Another one of my favorite authors is Eric Hoffer, who was sort of a layperson’s scholar. He was a philosopher, writer, and poet who worked on the docks of San Francisco as a longshoreman for 20 years. As I understand it, when he was a child of about 5 years old, he went blind, but then he regained his site at 13. So for 8 of his most formative education years, he was unable to see. When he regained his sight, he was so excited about it (and he didn’t know if he would continue to have his sight) that he read voraciously. So basically he educated himself outside the system, so to speak. I’m rereading his book The True Believer. It’s about what draws people to mass movements and to movements in general, and I think it’s particular prescient now. I urge people to read it if they can find a copy. What role has running played in your life? I know you run very long distances now. Why I run so much is related in a way, because I had some severe back problems — a double herniation that occurred years prior when I was in the army, and which just got worse and worse and worse. The first year I was at Facebook (after two years of hobbling around) I finally 1) had health insurance and 2) had enough time to set aside for back surgery. I got a 90-minute surgery, and when I came out the other end, I was so happy to be healthy and able to walk and jog that I thought, now I am going to really appreciate my body. Not that I hadn’t before, but I wasn’t able to run for a couple of years. And I had thought erroneously that running was bad for me and that I would have to give it up. Then I read another book, Born to Run. The crux of it is that running is not only healthy — it’s what human animals (over any animal) are most suited to do for very long distances. So now I run, although it took a while to train myself [on good running form]. But now I can and have run for days at a time. What happens to your mind and body during those very long distances? It’s hard to imagine running that long. Yeah, [during a long-distance run], you push past regular pain — some people call it the pain cave. Whether you are in tip-top shape or not, it’s not pleasant to run for say more than two or three hours. You get tired; you get hungry; and it forces you to revisit your primal needs: your water and food [intake] and everything else that goes along with it. [But it helps me] realize that my body is, in a way, a machine that I need to nourish and take care of and pay attention to in order to finish this race. So it’s kind of a cathartic experience. There’s lots more of John’s story to discover on the latest episode of Making Ways. You can listen along on iTunes, SoundCloud, or right here on our site. Thanks to John for sharing his story with listeners.